That (above) is the Canon EF 600mm f/4 L II IS Lens shown mounted to a Canon EOS M camera via the Canon EF-EOS M Adapter. You likely already figured out that camera and lens balance is very front-heavy with even modestly-sized lenses, such as the Canon EF 24-70mm f/2.8 L II USM Lens, mounted. 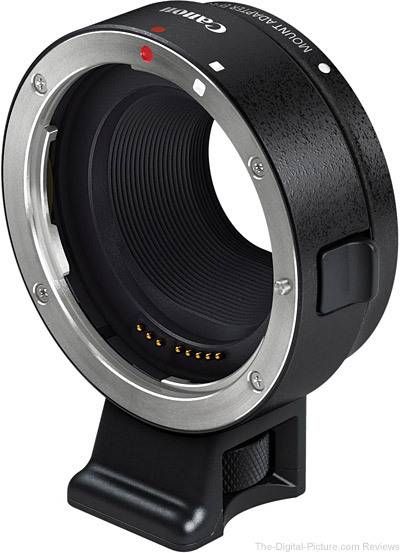 Plan on using such a lens to control the camera as the tiny EOS M grip becomes inadequate with the front weight. 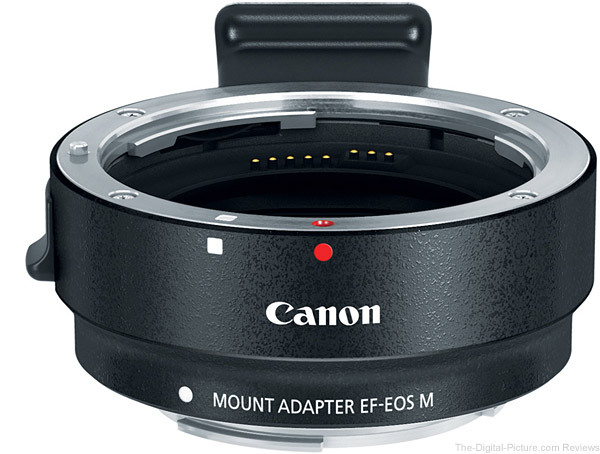 If you have a Canon EF-M mount camera and want to use lenses in addition to the EF-M type, the Canon EF-EOS M Adapter is the answer to the problem. While not a cheap accessory, the Canon EF-EOS M Adapter adds especially great value to a kit with compatible lenses already in it.